The Meizu MX6 comes in a rather standard paper box, but it's a departure from the previous big flat packages. Instead, Meizu went for the Apple approach - a phone-sized box with the device itself along with the necessities - a USB Type-C cable and a 24W charger plug. The Meizu MX6, just like the MX5, comes with a 5.5" display. The highlight of the TDDI technology is the unification of the screen layers, which reduces the thickness and the bezels. Yet, somehow losing the AMOLED panel for a TDDI one increased the overall footprint - the MX6 spreads at 153.6 x 75.2 x 7.3 mm. That's 4mm taller and a hair wider than the MX5. The MX6 also gained additional 6g in weight up to the total of 155g. We are having a deja-vu with the Meizu MX6 and that's understandable. 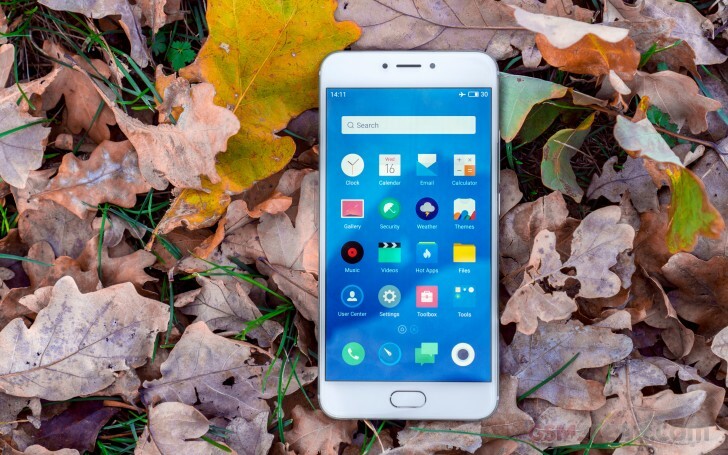 While the MX6 welcomes a new design, and looks better than its predecessor, Meizu didn't come up with the exterior for this device in particular. 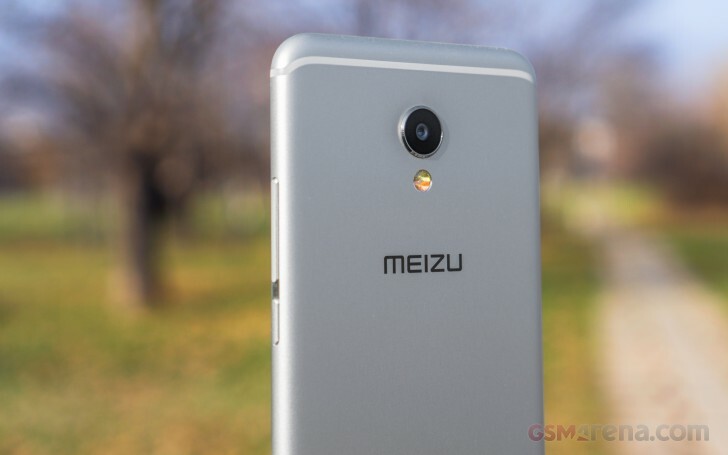 The Meizu Pro 6 had virtually the same body, it was just a bit smaller as the flagship had to accommodate a 5.2" screen. While the MX6 reuses a previous design, it's still relatively new, so we can forgive that. Plus, the MX6 looks stunning even without any updates, so we are fine with what we got. Indeed, the metal unibody is a pleasure to work with. The rounded frame and the 2.5D front glass are a treat, as are the new subtle antenna bands that flow with the phone's curves. The tiny strips around the top and bottom are also made of metal and don't intervene with the seamless design. Meizu put some nice silver accents on the mTouch key, the camera, and even the LED flash, and we really appreciate the attention to detail the company has put while working on the MX6. There is one thing that bothers us - the lack of a proper screen protective glass, or at least the announcement of such. The MX5 used a Gorilla Glass, other Meizu phones came with Dinorex solutions, but there is nothing on the MX6. Luckily, we are happy to report it isn't as easily scratched as some of the recent Xiaomi smartphones. Finally, the MX6 thanks to its matte finish offers a really nice grip and the handling is as pleasurable as with any other flagship. From the moment you start playing with the MX6, you know you are handling a premium device and this impression doesn't diminish over the time. The Meizu MX6 has a fairly standard set of controls. Above that big 5.5" display we find the earpiece surrounded by the 5MP selfie snapper and a bunch of sensors. Below the screen is the mTouch fingerprint scanner / Home button combo. This key is both capable of hardware press (Home) and capacitive touch (Back) and while it's odd at first, it quickly grew on us. The Dual-SIM tray is the only thing of interest at the left side. The volume rocker and the power/lock key are on the right, both made of metal. By the way, you can lock the screen with a long press on the Home key, if you prefer to do it this way. The secondary mic is lonely at the top of the phone, while the bottom is pretty busy - there is the audio jack, the primary mic, the USB Type-C port, and the loudspeaker grille. The back is where we find the 12MP camera lens accompanied by a dual-tone LED flash.